I am currently adapting an old school workbench I bought on eBay for £50 for professional use. The beach bench was only 65cm high and its paint daubed top was warped and split apart. It looked like it was well loved/abused in its academic heyday. I have deconstruct the bench and remade longer legs to replace the original short (and rotten) legs. 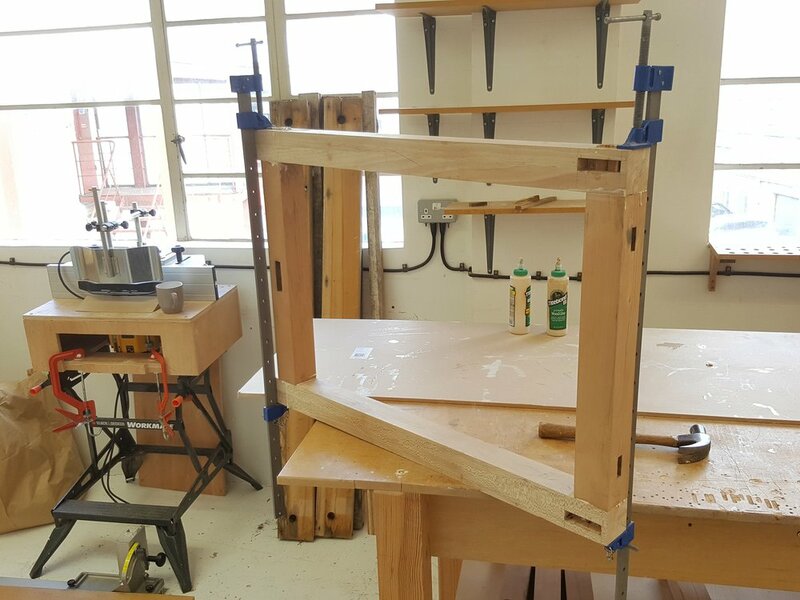 I have made new 92cm high legs to give the new bench a total height of 96cm. Perfect for an old back like mine. Its good to do some basic hand joinery every now and then to remind yourself of the importance of doing simple things very well.